Northeast-style Chicken Salad: Spicy Northeast-style Chopped Chicken Salad with Mint (Lahb Gkai). Kasma teaches this dish in Intermediate Series (class 2). 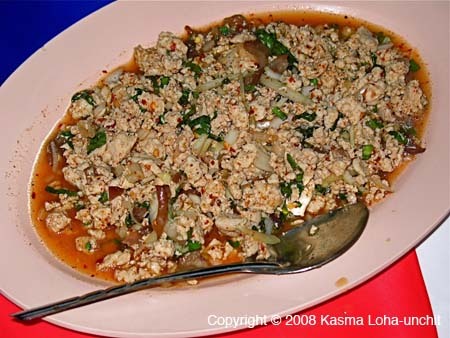 Check out her recipe for Northeastern-Style Spicy Minced Chicken Salad (Lahb Gkai).